If you have any regrets for having bought the JioPhone as it does not have the Google Assistant, then there is good news for you. Google announced in its Google for India event that it will introduce a special version of Google Assistant on JioPhone. Anyways, a voice assistant is already available on the JioPhone and the addition of Google Assistant will only make things better for the Jio customers. 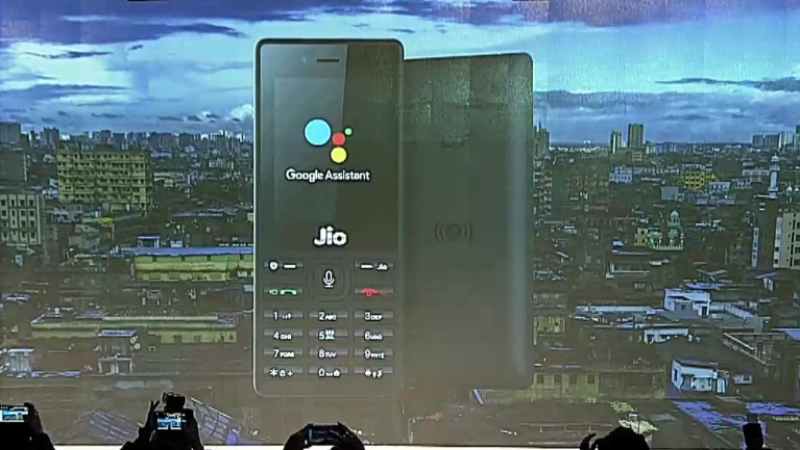 Once introduced, the Google Assistant will be available in both Hindi and English on the JioPhone. Anyways, there is no any official confirmation regarding when it will be rolled out to the users. As far as the demo shown at the event is concerned, the voice assistant will help you to send text message, play music and deliver search results all by using the voice commands. On the other hand, the JioPhone is creating waves across the country and even the people who already possess high-end smartphones have a secondary JioPhone, all thanks to the heavy media hype for that. In case if you haven’t ordered the JioPhone yet, you might want to visit How to book JioPhone. The mobile which was initially showcased in July started becoming available in October. Technically, it is free. But, you will have to deposit the Rs 1500 as security deposit which will be refunded back to you after three years. It comes with apps such as JioCinema, JioXpressNews in addition to the famous instant messaging and social networking apps. What are your views on the Google Assistant on JioPhone availability? Share us your views in the comments section below. For more similar latest updates, visit our NEWS section.